Gardening is an activity that people of all ages should enjoy. While it might be considered a chore, gardening could prove to be a fun and worthwhile time for the kids. What matters is that you keep your garden as a safe learning environment for everyone. Thus, we have provided some tips on gardening with kids. 1) Let the kids play. The first consideration is to understand that you are gardening with kids. Thus, it’s expected that they don’t mind getting their hands dirty. 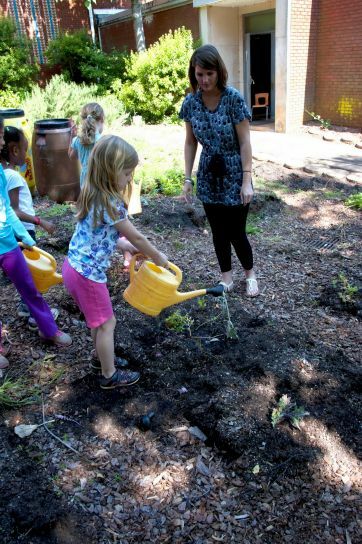 From digging the soil and stepping on mud, the kids will likely enjoy the physical effort that gardening demands. Still, they need to be thoroughly clean after any gardening activity. It’s best if they wear simple clothes and if there is a nearby washing area for them to wash their hands, feet, and shoes. 2) Make them appreciate the small creatures in the garden. You might be afraid of spiders and weird-looking caterpillars. However, you should not show this apprehension when you are with the kids. At this point in their lives, these young people are curious about the world. Instead of making them think that worms and snails are disgusting animals, you should let them know how beneficial they are for your garden. When you teach them well, the kids will learn the value of other living things. Likewise, this helps children to see organisms that work together to keep the ecosystem thriving. One of the easiest ways to make kids eager in gardening is to grow plants that they could later harvest. Having vegetables and fruit-bearing plants will help them realize the benefits of having a garden. Of course, we wouldn’t advise growing plants that take a long time to mature. Thus, you should have some veggie to grow quickly. These include baby carrots, spinach, bush beans, green onions, and radishes. They only have to wait for a couple of months or so to reap the rewards of planting. Just remember to plant more seeds or seedlings than the usual amount. When you are planting with kids, you have to consider the possibility that some of the plants won’t grow. When the kids see rotten or damaged plants, they could quickly lose interest in gardening. By doubling the amount of what you plant with them, they will still see a lot of thriving plants even if some fail to grow. In the long run, you would help more and more kids to eat nutritious fruits and vegetables instead of just consuming fast food and potato chips. 4) Let kids work in teams. Handling a large group of kids can make it difficult for them to enjoy gardening. Aside from preparing child-friendly gardening tools for them, the kids should also be divided into teams. Each group could be comprised of at least four kids. You can assign each team to a unique task, and the kids will learn how to cooperate. 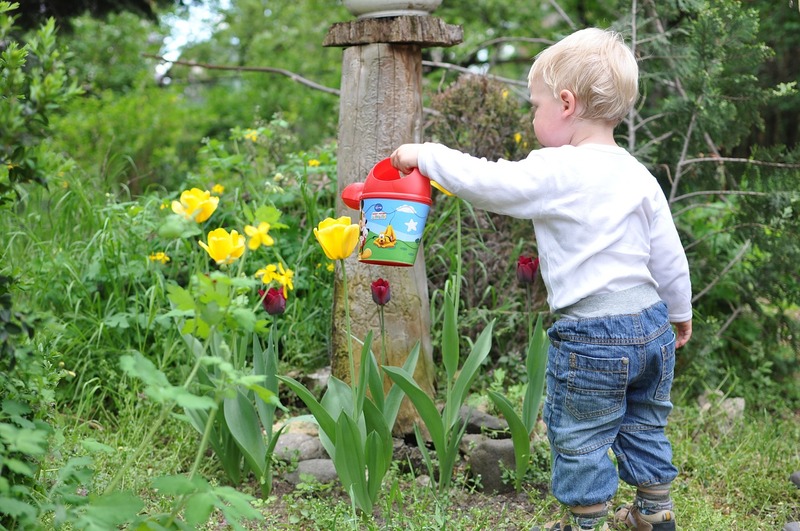 When you give them a specific activity, they could treat gardening as a fun mission instead of a boring time outside. 5) Make them eager to explore the garden. Even before you and the kids leave the house or building, you must already get them curious enough to visit the garden. Ask them what they think they will see in the garden or how much the plants would have changed in appearance since they last went there. You should help kids see the progress of what they do. Provide them journals where they can write their observations and draw the plants and insects they see in the garden. One of the easiest ways to keep kids engaged is through making garden art. This could come in the form of painting different rocks to help label the plants they grow. Another way is for the kids to create their own scarecrow or bird feeder. Furthermore, you could let them decide how the flower beds and vegetable pots should be placed. Of course, you still need to provide guidance on how close or far apart the plants should be from each other. You could even teach them sustainability by making them recycle and reuse items such as pencil cases and tin cans, which could be used as containers for growing plants. In conclusion, it isn’t difficult to make kids have fun in the garden. From letting the kids observe crawling caterpillars to helping them harvest their own fresh vegetables, you will not run out of ways to keep them engaged. We hope that our guide helped you encourage kids to try out gardening. If you have any questions, feel free to send us a comment.